McGarryBowen established a reputation as one of the top agencies in the US as a result of an awe-inspiring run of big account wins in the late 2000s and early 2010s. In pitches, its record was virtually unblemished, and even the handful of important accounts it lost after 2005 ended up back at the agency again after a couple of years elsewhere. It's proof that experience counts: McGarryBowen might have seemed like a "new" agency but in fact its founders had a long and distinguished record in the industry, dating back to the 1970s. The agency was acquired in 2008 by Japanese giant Dentsu, and launched its first European offices during 2012, with the rebranding of Dentsu outposts in London and Duesseldorf. Further openings in other markets have followed, mostly through acquisition. By mid 2018, the agency operated 12 offices in nine countries. Ad Age estimated total revenues of $236m in 2017, including $186m from the US. In recent years, expansion has occupied much of the agency's time and energy, and new business performance has been somewhat less starry than in its 2010s heyday. Nevertheless, there have been several key wins, and McGarryBowen is the biggest traditional creative agency by far within what is now Dentsu Aegis Network. Co-founder Gordon Bowen remains global chairman. His former partner John McGarry retired from the business in 2012. Adbrands Weekly Update 13th Jul 2017: Ads of the Week: "RoboBoy". Clearly the way to a Dutch girl's heart is by becoming a real-life Transformer. 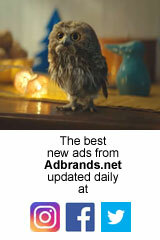 This cute campaign for Volkswagen is from McGarryBowen's newly acquired outpost in Amsterdam, Achtung! It should provide considerable inspiration for parents seeking the ultimate fancy dress outfit for their offspring, but we're wondering if some form of Transformers royalty deal was necessary with Paramount and Hasbro. Separately, McGarryBowen announced the departure of New York chief creative officer Matthew Bull (one-time head honcho of South Africa's old Lowe Bull agency). No word of Bull's destination but North America CCO Ned Crowley will take over the reins on an interim basis. To relieve some of the pressure in the main Chicago office, Kurt Fries was promoted to local chief creative officer for that office. Adbrands Weekly Update 13th Oct 2016: Dentsu Aegis Network's relentless acquisition drive rolled on. Latest addition to the portfolio is Happy Creative Services in Bangalore. This joins the McGarryBowen network as Happy McGarryBowen. It is the network's 13th office worldwide, joining other Asia pacific region outposts in Shanghai, Hong Kong and Singapore. Adbrands Weekly Update 11th Feb 2016: Dentsu Aegis Network continues to build its McGarryBowen international network. Latest addition to the fold is Dutch agency Achtung, which now becomes the Amsterdam outpost of the business. Adbrands Social Media 20th Jan 2016: "Experience Amazing". Intel is supporting its latest push beyond the PC market with this punchy campaign from McGarryBowen, illustrating all the other devices and disciplines that have "Intel Inside". It's pretty cool, especially those closing frames. Who knew that the Intel "bong" was actually lifted from (or at least contained within) Beethoven's 5th?